The Ausable Bayfield Conservation Foundation had a dream. The dream was to create a special place ... a building ... a pavilion ... a shelter from wind, rain, snow, or sun ... a place to enjoy nature, reflect, and remember loved ones. 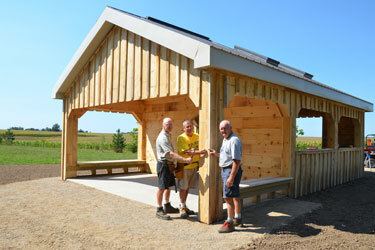 The building was to be called the Woodland Reflection Shelter and the dream was to build it along the South Huron Trail, at the Commemorative Woods where trees are planted in the memory of loved ones. This dream is now reality, thanks to the volunteers, businesses, donors, students, teachers, and generous watershed residents. The shelter has been built. Read on to find out how you can support this worthwhile projects and ways your donation can be honoured and loved ones remembered. Leave a local legacy, help our tree grow! For nearly 30 years, the Ausable Bayfield Conservation Foundation has been raising funds for conservation, preservation and protection of the unique natural landscapes of the Ausable River, Bayfield River and Parkhill Creek watersheds. Included in this are commemorative woodlands in which families and individuals can leave a legacy in memory of a loved-one who is gone but not forgotten. At the Morrison Dam Conservation Area, along the South Huron Trail, plans for the ever-expanding commemorative woods program include a reflection shelter which will overlook the tree plantings. It will feature a special oak-tree-inspired wall to recognize donors and to commemorate loved-ones on individual oak leaf plaques. 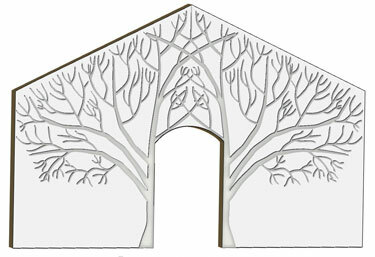 The metal tree sculpture and leaves were designed and will be produced by local high school students. There will be a seating area for visitors who wish to spend some time in the tranquil surroundings. We invite you to participate in helping to maintain this unique community structure. The dividing wall in the shelter features a metal sculpture of an oak tree which symbolizes strength and long life: it includes leaves and plaques to recognize memorials and donors. Also incorporated into the design is a walkway and patio with engraved pavers. We invite you to donate and to have names recorded on leaves, stones, or benches. Donors are invited to participate with in-kind construction and material donations and cash donations at various levels . 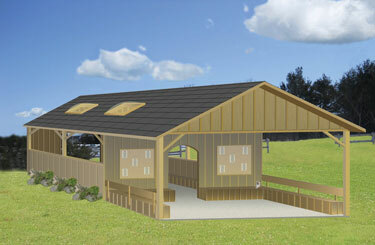 Download Woodland Reflection Shelter brochure now.